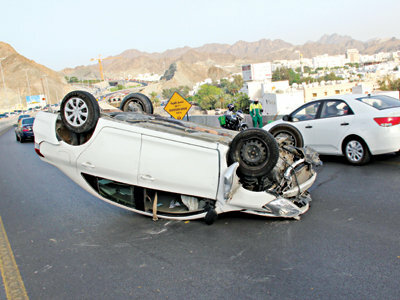 One person dies in every ten road accidents in Oman: NCSI « Being The Safe Driver! Behind The Wheel! Aciidents Victims Stories, Articles by Others, Behind The Wheel!, Being The Safe Driver!, Breaking News!, Nice Article, Road Safety Articles, The New Road Safety Book! Images Accidents For Demonstration Purposes Only! 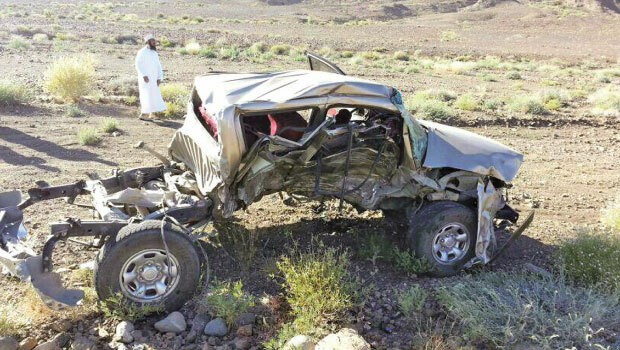 Recent statistics from the National Center for Statistics and Information (NCSI) revealed that 12 per cent of road accidents in Oman result in deaths. This translates to an average of one death in every ten road accidents. The figure is according to the annual statistics until the end of November 2013. 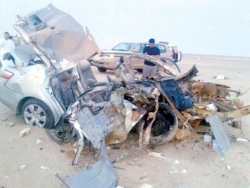 During this period, the number of recorded road accidents was 6,600, resulting in 823 fatalities and 9,081 injuries, compared to 7,529 accidents which resulted in 1,059 fatalities and 10,737 injuries during the period from January to November 2012. 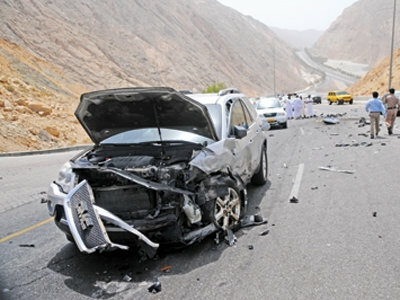 When compared to the 2012 figures, road accidents in Oman recorded an annual decrease of 12.3 per cent, while the death toll from road accidents also recorded a decrease of 22.3 per cent. Statistics also revealed that most road accident victims are men, with 702 deaths (85.3 per cent ) compared to 121 deaths for women (14.7 per cent). In contrast, the NCSI statistics revealed that new vehicle registrations until the end of November 2013 witnessed a decline of 6.5 per cent. The total number was 119,526 new vehicles versus 127,784 vehicles registered during the same period of year 2012. There are a number of factors behind the decline, including government purchase of vehicles declining by 38.1 per cent, with 2,095 government vehicle being registered, compared with 3,387 vehicles registered during the same period of 2012. In addition, rental, taxis and private vehicle registrations all declined, with 13.6 per cent for rental cars, 13.5 per cent for taxis and 9.1 per cent for private cars respectively. Meanwhile, commercial vehicles, motorcycles, tractors, and driving school vehicles witnessed sales growth to varying degrees with motorcycles topping the list, recording a growth of 38.2 per cent. New commercial vehicle registrations also recorded a growth of 11.8 per cent . The NCSI statistics are for the period until the end of November 2013 compared to the same period in 2012.